Viacom is one of the world’s biggest creators of content, and of the biggest users of music in its shows, films, videos and online promotions. Join us as the Viacom music team discuss how they loom music and media together to create amazing experiences for their audiences, how they find, and use music and how you can connect your music to their projects. Tommy Boy is one of the world’s most iconic labels in hip-hop and dance music. Their musical catalogue contains some of the biggest hits of the 80’s, 90’s and beyond. 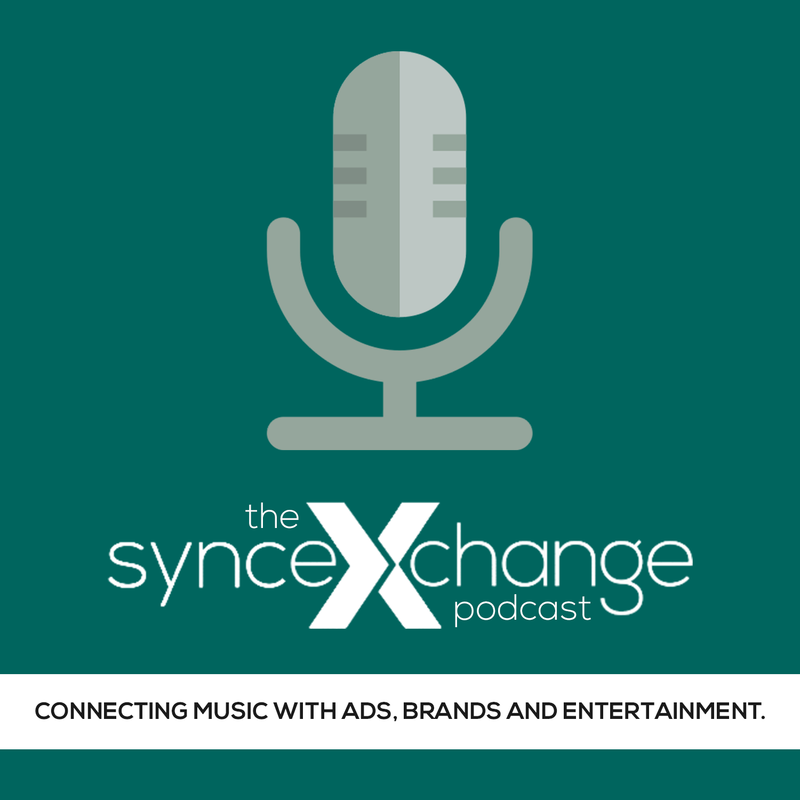 Join us as we discuss how Tommy Boy is putting music licensing at the center of their business, and how they are engaging with the sync marketplace. What’s the role of music and musicians in the promotion and development of a brand’s image and audience? This is the question we aim to discuss and answer in this conversation. Joe Belliotti is one of the world’s foremost music branding executives, who, after heading up Coca-Cola’s music efforts for almost a decade, is now working with brands, music companies and musicians to help them used the power of music to create audiences, brand loyalty and ultimately sales. CD Baby is one of the most successful independent artist resources, and recently launched and built out a comprehensive online resource where they make hundreds of thousands of artists and their music available to music supervisors and projects. Learn how they can work with you to connect your music to projects, and connect your projects to music. Geo is a fantastic UK-based artist with a fantastic sound with great syncability. Get a chance to meet and listen to her at this wonderful showcase. Whether you’re a music supervisor, a label, an editor, an artist, publisher or producer, there are some great technologies and services that can help you do your job more efficiently and ultimately better. In this session, we’ll discuss with our panelists their systems, services and how they help music and musicians connect to projects. Music is central to the experience of sports, whether at the game, on TV, in film or digital. And Stephanie, through her role as the Director of Music at Major League Baseball and the National Hockey League, is one of the key decision makers in the connect music to sports content across every point – online, on TV and live. Join us for a discussion with Stephanie where we’ discover the importance of music in the experience and promotion of sports, how she and her team find and use music and how you can connect to her and her projects. David is an incredible composer who works with America’s top documentarian Ken Burns to create music that enhances the incredible storytelling of projects like “The War,” “The Roosevelts: An Intimate History,” and many, many other projects. Learn firsthand David’s process as a composer collaborating with a director to create music for picture that enhances and completes the storytelling experience. Whether we’re ready or not, Artificial Intelligence is poised to change the way music is made for and used in visual media. There are services that video producers are using right now to create music through AI for their projects. And, though we’re not yet at the point where AI is going to replace a great composer or a hitmaking producer, AI-created music is here and it’s every person’s responsibility in the worlds of music and media to understand and harness the potential challenges and opportunities AI brings to the world of music for media. Join us and our panel of both cutting edge companies and traditional composers as they showcase their technologies, contract them with traditional music composition and discuss the path forward. The Detroit-based Doner is a music supervision unicorn that works with some of the worlds most iconic brands (Huawei, Geox, Fiat, Netflix, to name a few), agencies and auto companies. In this chat, Julian will share with us how he and Doner work with music and clients to create iconic work that connects products with people through great music and messaging. One of the most significant roles in connecting music to visual media and ads is that of the editor, the music supervisor and the producer. Many times, it is the editor of a project – both in pre and post production, who selects the initial music that is used to illuminate the storyline in a game, app, TV show, film or ad. And of course, the music supervisor works as the overall lead in terms of music selection, clearance and research. In this panel, we’ll discuss their roles, how they use music, and how you can connect your music to these key decision makers. Our final panel brings together Sync Agents, publishers, labels and platforms who work to connect music and the musicians they represent to ads, TV, film, games and branded projects. These are the people music supervisors and agencies go to help them get the music they need when they need it – and they are probably the most important people for you to know at the conference. Here is where you can find an experienced, knowledgeable person with connections who can help you connect your music to music supervisors they work with. These are a series of meetings where you can learn more about an agency, publisher or label, who they work with and how they can work with you to represent your music for sync.